Ageing: A minimum 22 months. Disgorgement date: Printed on back label. Harvest: Printed on back label. Serving recommendations: Decant gently, use wine glass. Attractive pale-salmon colour. Small, persistent bubbles, forming a dense crown. Refreshing aroma and very complex with subtle smoky notes, with a red berry finish. Balanced full mouth-feel, tasty rich and elegant, the varietal character shows in the evolution. Very long, elegant finish with a wonderful vinous sensation. 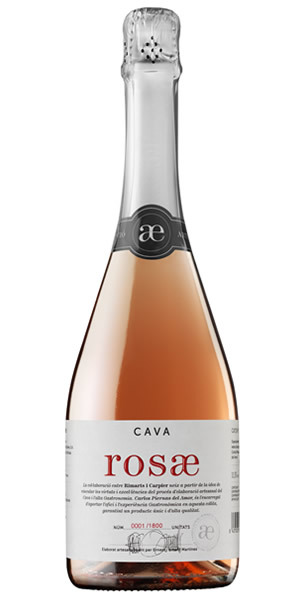 Food Pairing: Dynamic and elegant cava that demands creativity in order to discover its full potential and enjoy the subtle nuances that ideally pairs with specific cuisines. Combines perfectly with grilled foods, rice and a healty dose of culinary creativity. Definitively imaginative.